Genuine Walnut plaque with black engraving plate and gold border. Individually boxed. Genuine Walnut plaque with green marble black textured edge engraving plate. Individually boxed. 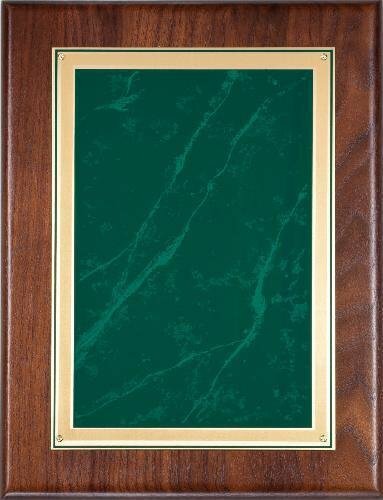 Genuine Walnut plaque with green marble engraving plate with gold border. Individually boxed.